Recently decided that now that the wife and I are both retired, and I have the Corvettes I want safely tucked away in the garage, it's time to downsize the rest of the "fleet". I will keep my pickup truck (a man has to have a truck, after all) but the two sedans - my ex-company car Impala and the wife's Honda Accord EX-L - can both go. Since we seem to spend most of our time in the car together, either shopping, going out to eat, or visiting the grandkids - we decided to trade the two cars in for one SUV. As long as our primary residence is still in snowy Central New York, even though we spend most of the winter (January - April) at our St. Petersburg, Florida home, we do still run into some pretty significant snow sometimes in November & December. Plus, when we are with the family, it's nice to be able to take the grandchildren and their parents out to eat (or wherever) all in one car. Since two of my sons each have two kids, a six-seater AWD vehicle seemed to fit the bill best. We looked at all of the three-row SUVs on the market . . . Chevy, Ford, Audi, Lexus, Mercedes, Volvo, BMW, GMC to name a few. 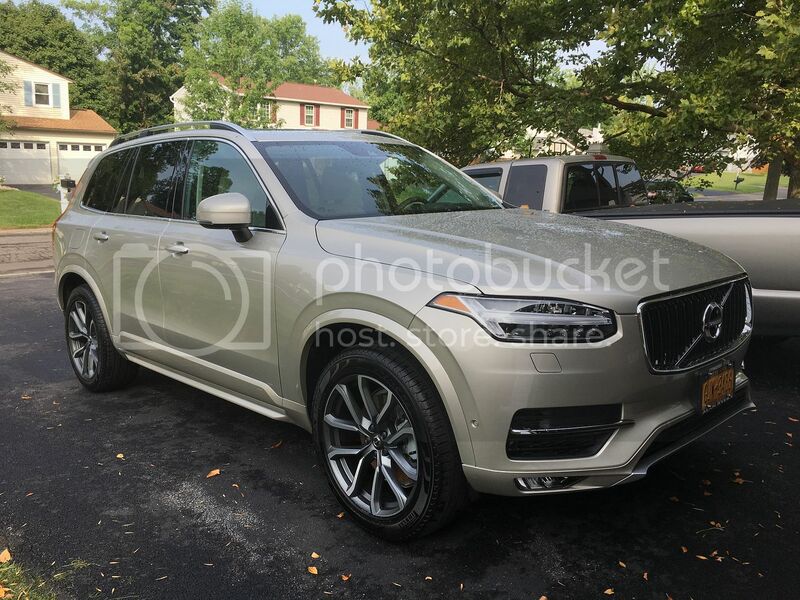 Drove them all, compared the features, and decided on the all-new Volvo XC90. This car is just ridiculous - FOUR PAGES of options, we have had it since Labor Day and still haven't come close to figuring everything out. So far I haven't found a single thing this car doesn't have. It's turbocharged AND supercharged, and goes like hell while still getting great mileage for such a large vehicle. We love it. I particularly liked the all-leather interior and upscale interior trim - the nicest of any vehicle we looked at. 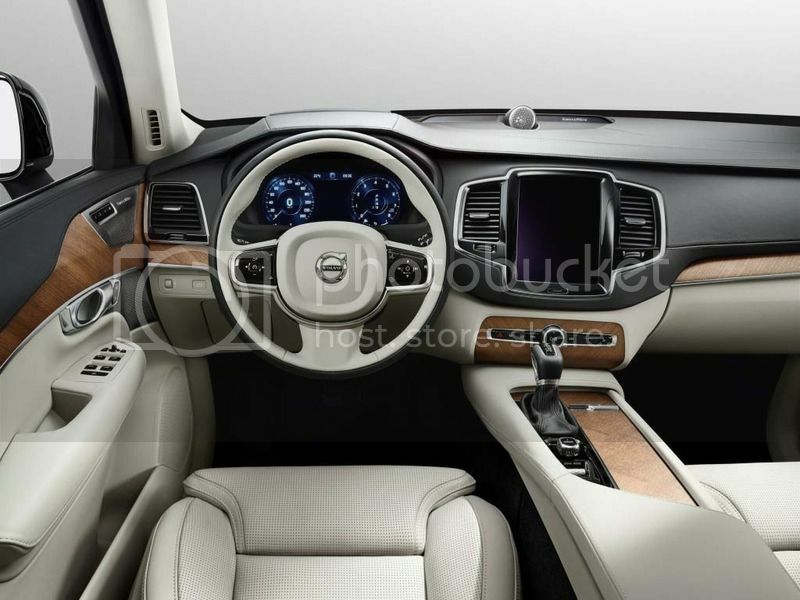 Turns out Volvo hired the interior designer away from Bentley, and it really shows. So no, it's not an "exotic" per se, but it's sure a nice ride. That's a nice vehicle, Volvo makes a great product.....I just never had much luck with those high revving, high HP 4 cylinders. I always felt they over worked themselves and had more issues than the larger motors. I'm in the market for another fleet SUV and have looked at all them. unfortunately the short wheel base ones don't leave enough cargo room behind that third row. I'm leaning toward the Suburban LTZ after I ditch my last Escalade ESV. VFPreacher wrote: Good looking car. Got any pics of the interior? Wow. That's nice. Where's the lever for the flaps ? Just completed our first "road trip" of any length (about 850 miles) . . . this is the most comfortable car I have ever taken a longer trip in, and I have owned some nice cars over the years. GREAT seats. Decent mileage for a 7-seat SUV - about 23 mpg. The grandkids loved both the built-in pop-up "booster seat" in the middle of the second row, and the third row seats as well. Nice to be able to all go comfortably in one car, which is one of the main reasons we bought it. Took everybody to the park along with scooters, sports gear and a picnic lunch with no problem at all. This one's a keeper.